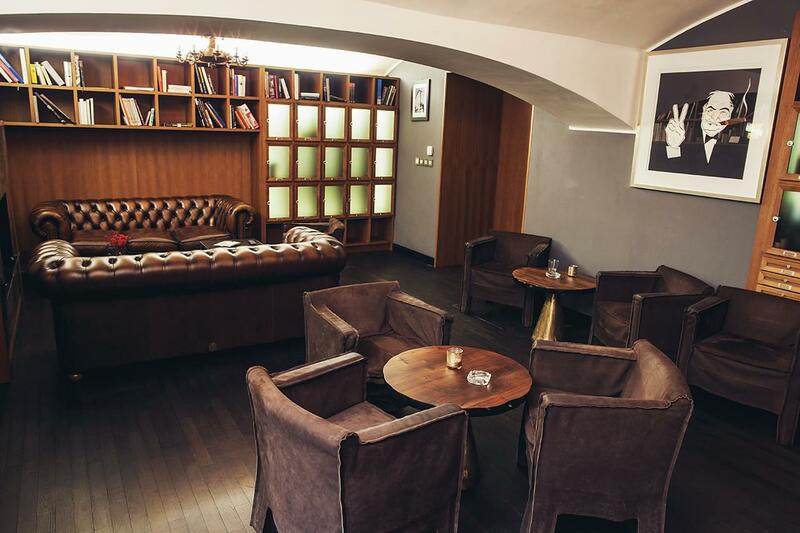 A solo haven in the form of a modern bar/smoking lounge. 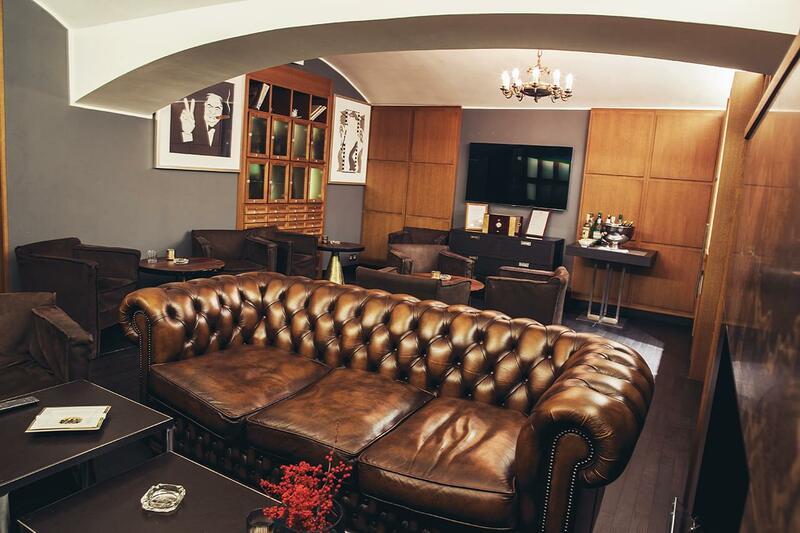 The Fumoir is not only the singular smoking room in the entire hotel, but it is also one of our more intimate spaces open only to M Club members and guests staying in one of our signature suites*. With classic Chesterfield sofas, a cosy fireplace, a collection of books, and a complimentary, fully stocked, “Self-Service” bar, this room offers you an ideal getaway. *If you aren't a member or suite-staying guest, you can access this space for a charge of € 100 per room. Wind down with a top-shelf cocktail and spend some quality alone time at the end of a long day.